Forest House is a paradise that will allow you to unplug from the busy world and reconnect with yourself and the world at hand. The pristine northern Boreal forest holds many wonders, and the Forest House setting is surrounded by natural beauty, an air of quiet peacefulness, and soothing tranquility. Spend the days relaxing and watching Mother Nature in her glorious splendor. The night brings with it a brand new tapestry of sights and sounds. Listen to the loon's mournful cry echoing across the lake, as you sit under a blanket of radiant stars, appearing to be so close, you feel like you could almost touch them. Take a soothing sauna; reminisce around a crackling campfire - at Forest House time is yours. There are approximately 5 km of hiking trails that have been carved into the heart of the Boreal forest. Enjoy a relaxing walk through an ancient forest, carpeted with wildflowers, native plant life, and framed in Precambrian rock. Revel in the quiet serenity deep in a forest full of things to experience and observe. 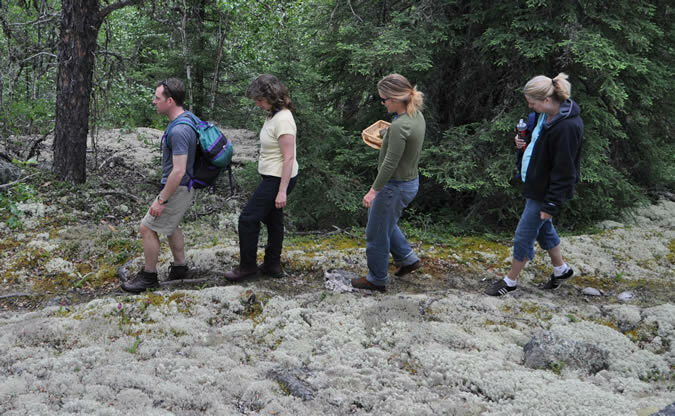 Interpretive walks with one of our knowledgeable staff can be arranged. 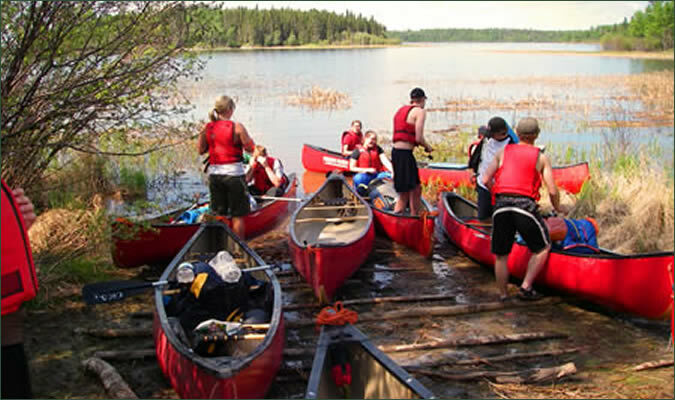 A small fleet of canoes are available for use on the lake and surrounding area. All paddles and safety equipment is provided. Explore the small, pristine unnamed lake Forest House is located on, or portage to nearby lakes, all offering great scenery, the opportunity to observe wildlife in its natural setting, and time to reflect and enjoy. Courses in flat water paddling and canoe tripping are available by request. The magnificent northern Boreal forest has inspired artists, photographers, and writers for hundreds of years. It can be as rugged as a towering rock face, or a delicate as a delicate wildflower, in the same moment; it can be as awe-inspiring as a majestic bald eagle effortlessly soaring through the sky, or as simple as the reflection of a tree in tranquil water. Forest House is the ideal place to become inspired, to create, and to soothe the body and soul. Forest House is also the perfect setting for a yoga retreat. 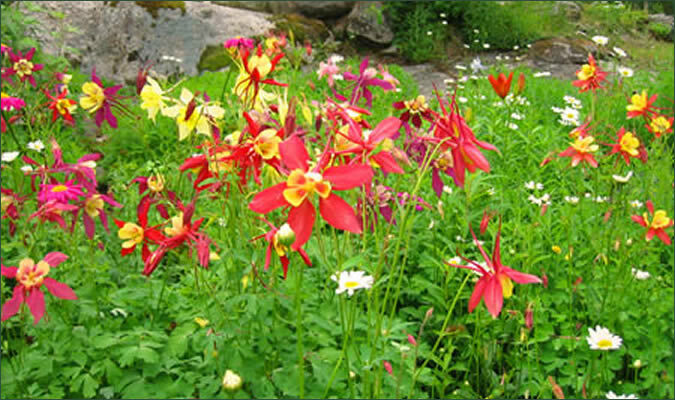 A rich, vibrant organic garden in the northern Boreal forest is definitely an anomaly. At Forest House, thirty years of careful composting and stewardship has produced a spectacular garden of earthly delights. Spend a part of your day caring for exotic blooms, and tending to tasty organic vegetables. Discover the magic of organic gardening in the heart of the Canadian Shield..
Forest House in the heart of some of the best canoe country in Canada. The lakes in this area offer much to experience and explore. 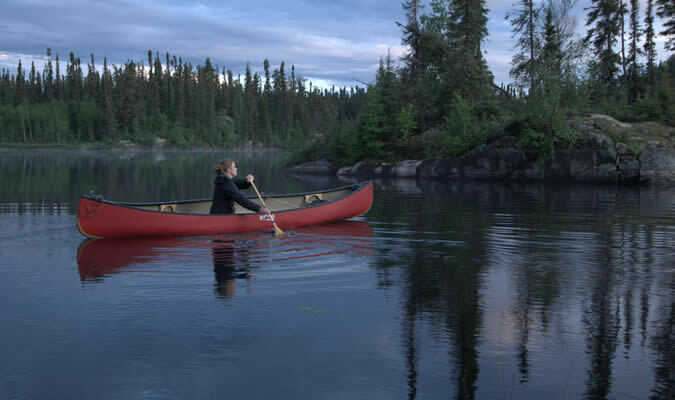 With Forest House as your base camp, you will have access to many canoeing options. Forest House can arrange for one of our fully-trained, knowledgeable wilderness guides to accompany your party on overnight trips. A campfire in the boreal wilderness is pure magic. Sit around the campfire, sing a song, roast a marshmallow or just lean back and marvel at the night sky. 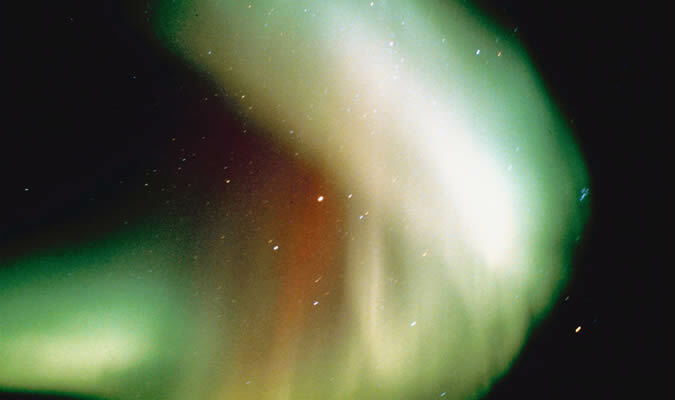 Enjoy the sound of a crackling fire as a loon calls in the distance; watch the Northern Lights dance a surreal ballet in the heavens, as you bond even deeper with the world around you. 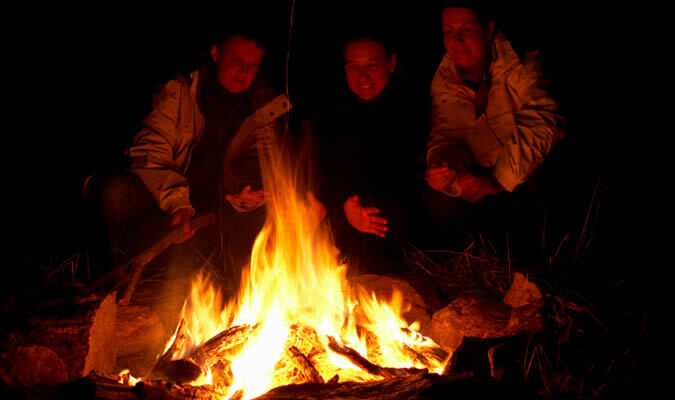 A campfire, the sky, the sounds of the wilderness night - will all combine to produce memories you will never forget. 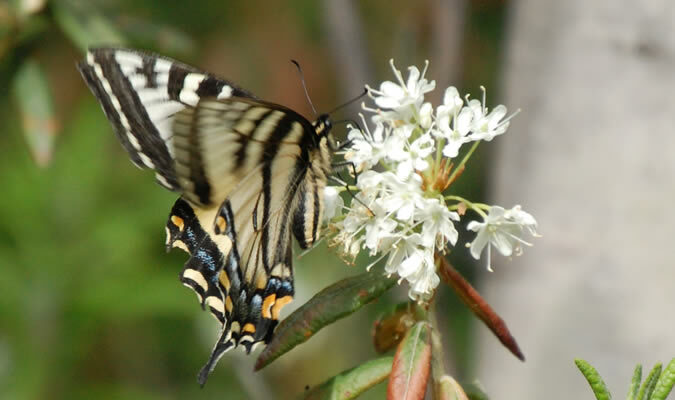 The Boreal forest is home to a diverse population of wildlife. Thirty percent of the world's songbirds make the Boreal their summer home; black bears forage the forest for food; woodland caribou, deer, and moose travel its depths; bald eagles rule their kingdom from the sky and osprey drift and dart through the air; wolves, the fox, the majestic loon, and many other species abound. Forest House offers an excellent opportunity to observe and appreciate the residents of the Boreal forest in their natural habitat. Plan your next corporate retreat at Forest House. What better place to escape the distractions of daily work and focus on planning or team building. We can arrange facilitators by request.